25. For too long Board members – and some Board members who have resigned along the way since 2010 – have strenuously objected to various decisions taken by the Chairperson without the approval of the Board. 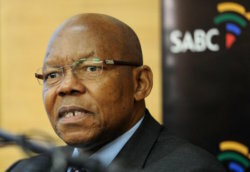 Dr Ben Ngubane was chairperson of the SABC board from December 2009 until he resigned from the position in March 2013. His tenure was marked by controversy throughout this term. Tomorrow he, and his successor, Ellen Tshabalala, appear as final witnesses before the parliamentary Ad hoc Committee Inquiry into the Affairs of the South African Broadcasting Corporation and its Board of Directors. A key moment during his period in office period was the resignation of the highly-regarded Struggle lawyer, Peter Harris, along with several other SABC board members in 2010. When a person of the integrity and innate decency of Harris feels that his reputation will be tainted by continued membership of a board that was widely seen as lacking probity because it was – then and now – politically controlled, then we all need to be worried. In his resignation letter, Harris mentioned the ‘intolerable interference’ of the Communications Ministry in the board’s activities. Delayed and prevented the development and implementation of a coherent and statutorily-compliant process of turning the SABC around and re-establishing it as a financially sustainable entity. 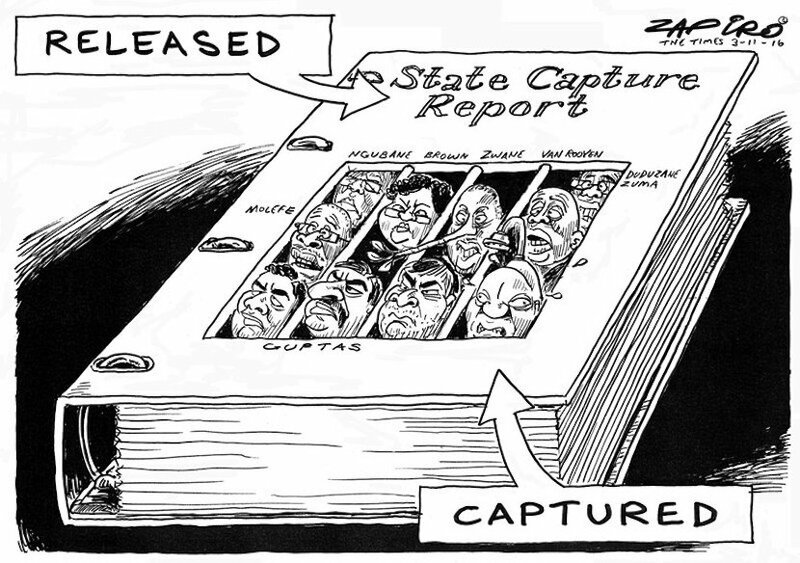 As a result of a PAIA application by the SA History Archive in June 2012, the government released the 2010 resignation letters of five SABC board members. The letters were then placed online by the SOS coalition. To give a better understanding of the contempt in which Ngubane holds the laws of corporate governance, I hereby post on this website extracts from two of those resignation letters. The scandal that saw the exit of Ellen Tshabalala. Over recent months, many reasons have converged to force my decision. The latest reason is the circumstances surrounding the process leading to the announcement and Irregular appointment of the GE -News and Current Affairs. As part of the interviewing panel, my views were not taken into consideration in respect of the evaluation of the candidates. ln retrospect the whole process was forced to realise a pre-conceived result. I abstained from the subsequent scorlng because l believe that the interview panel had been compromised and the process tainted by two members of the ﬁve member panel. I was not able to exercise my unfettered discretion. As the preferred candidate (Phil Molefe) had already concluded a contract of employment with the SABC, the evaluation process and my scoring would have been rendered post facto and therefore a futile exercise. The Chairperson and the CEO had already proceeded in contravention of the Board Resolution and the Memorandum and Articles of Association. Relevant information had been deliberately withheld from the Board. We have lurched on from one crisis ta another, relegating corporate governance to the bottom of the pile, thus operating without instituted regulation to govern our own behaviour as a Board. Aware of the crippling debt to the Public Purse, we have not moved an iota to address the excessive wage bill. Sadly our own internal debates as a Board have taken precedence over our responsibility to the public audience, the majority of whom depend on the SABC as their sole access to information. l submit this resignation with a deep sense of regret, but believe resignation is the only reasonable option for the non-executive directors appointed in January: in their nine months in office, the current Board of Directors has comprehensively failed to discharge its statutory responsibility to ensure that the SABC meets the broadcasting needs of all South Africans and particularly of the millions of South Africans who, for reasons of historical inequality, depend exclusively upon its radio and television services. Under the prevailing circumstances, I believe continued participation on the board is an exercise in futility. Without wishing to excuse the board or otherwise deny directors’ collective statutory and political responsibility for the failure to address the SABC’s many shortcomings, I believe the failure was largely a consequence of factors beyond the board’s control. Primary among these has been a comprehensive and sustained failure of oversight by the organs charged in law with this function, and speciﬁcally the executive authority, that is the Minister of Communications. The effect of this failure of oversight has been to comprehensively undermine the ability of a board already facing unusual and major challenges, to properly and effectively fulﬁl its fiduciary and other statutory responsibilities. This has been compounded by a corresponding failure by the Parliamentary Portfolio Committee on Communications (PCC) to exercise full oversight over both the SABC and the Minister and Department of Communications both of which fall under its remit. The resignations of directors – of which I am the fourth – are all a consequence of this failure of oversight. While the board collectively and directors individually must accept responsibility for their failure over the past nine months, I believe the circumstances under which they operated made such failure inevitable. Under the circumstances in which the board was denied the support it needed through the means prescribed by statute, I believe that it is inevitable that proper governance procedures would come under pressure and, inevitabl, begin to crack. Nearly six months after the board first approached the Minister for support in addressing the related issues of multiple breaches of law by the chief executive officer and the chairperson, this is precisely what has begun to happen. At that time, July 2011, the respected Struggle lawyer, Peter Harris, also resigned from the SABC board. 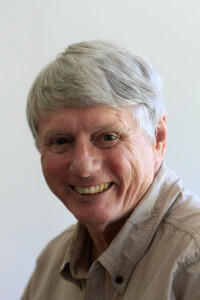 8 July 2011 – The Mail & Guardian reveals that the reason for the resignation of Peter Harris was the successful attempt by the ANC – through Siphiwe Nyanda’s successor as Communications Minister, Roy “Room Service” Padayachie – to gerrymander the appointment processes at the SABC so as to facilitate the appointment of the Luthuli House-approved Phil Molefe as CEO. Minutes of a shareholders’ meeting called by Roy Padayachie, the communications minister, last week to amend the SABC’s articles of association back up charges of political interference in the governance of the public broadcaster. The minutes, obtained by the Mail & Guardian, reveal how board member Peter Harris objected to the lack of consultation with the SABC board, particularly as the amendments “would widen the authority of the shareholder [the government] with regard to acting appointments to key executive director positions”. 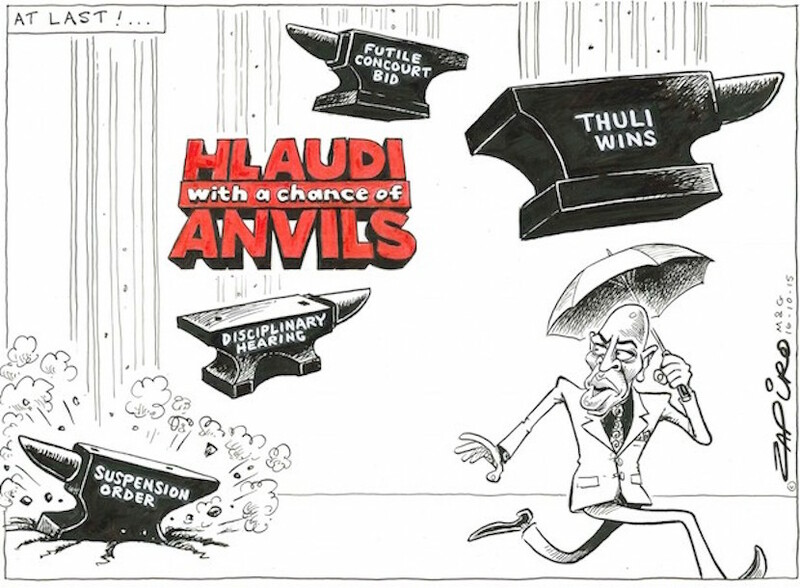 A respected lawyer, Harris resigned a day after the meeting, at which he pointed out that it was “poor corporate governance” for a shareholders’ meeting to be called at a day’s notice when it was dealing with a multi­billion-rand company. The minutes reveal that, in spite of Harris’s objections, Padayachie used the meeting to pass key amendments to the articles of association to facilitate the appointment of any employee to the SABC’s three top management positions. Apparently, the purpose was to enable current news chief Phil Molefe to take over as acting chief executive officer. He gave the go-ahead for the SABC footage of the murder by the SAPS of activist Andries Tatane to be broadcast, footage which was quickly re-broadcast, to the detriment of the ANC, by all major news agencies all over the world. He disregarded a direct and public issued instruction on 12 July 2012 by Blade Nzimande who was speaking at the SACP’s national congress in Richards Bay, KwaZulu-Natal. Nzimande gave a less than subtle instruction to the SABC to stop giving airtime to expelled ANCYL President, Julius Malema. Nzimande said he was “ashamed of the public broadcaster” for feeding the public a “breakfast, lunch and dinner” of news about “people who have been expelled” from the ANC. Describing the likes of Malema as enemies of the SACP, Nzimande said that instead of working to “unite our people as a whole”, the SABC “runs with renegades”. Molefe argued that Malema had been declared the 2011 Newsmaker of the Year and he could not ignore that. As I explained in my ‘Toxic Cocktail’ article, Luthuli House then lobbied for Molefe to be replaced by ‘Zuma’s Conduit’, Hlaudi Motsoeneng, and Ngubane and Lulama Mokhobo were happy to follow instructions. Molefe was suspended on a trumped-up charge and the rest is melancholy and very expensive history. Ngubane then turned on Molefe in a viciously vengeful way, which tells you everything about how the ANC operates. In April 2012 the Sunday Independent revealed that Ngubane and Mokhobo had denied Molefe the opportunity to attend a conference in Australia of the Commonwealth Broadcasting Association (CBA) of which he was vice chairman and, potentially the new chairperson. Had he been, as was confidently expected, elected as the new chairperson of the CBA, it would have been a coup for South African broadcasting. That is how the ANC punishes journalists who try to conform to the accepted ethical norms of their profession and their calling – and the SABC 8 are just the latest example of that. The former SABC Board’s Chairperson, Dr Ben Ngubane further acted irregularly when he ordered that the qualification requirements for the appointment to the position of COO be altered to remove academic qualifications as previously advertised, which was clearly aimed at tailor-making the advert to suit Mr Motsoeneng’s circumstances and this constitutes improper conduct maladministration and abuse or unjustifiable exercise of power. The approval of Mr Motsoeneng’s salary increments by the GCEO’s and the Chairperson of the Board at the time, Dr Ben Ngubane was, accordingly, irregular as it was in violation of Part IV of SABC’s Personnel Regulations and SABC Policy No HR002/98/A-Acting in Higher Scale and constitutes improper conduct, abuse of power and maladministration. Late last year Ngubane attacked Madonsela’s findings on Eskom. We are indebted to the courage and integrity of former SABC board member, Suzanne Vos for posting two articles on Politicsweb relating to Ngubane’s abusive and illegal behaviour. Like so many of those who are part of the ANC’s inner circle, Ngubane combines a sense of entitlement with a sense of impunity. The way in which he has conducted himself in the past few years has constantly spoken to a sense of omnipotence, has consistently been detrimental to the common weal. How much longer is this going to be allowed to continue and, more importantly, what retribution will those who have corrupted the SABC for so long suffer and what steps will be taken to prevent this from continuing?